A kidnapper who was receiving treatment for gunshot injuries on his private part has been arrested alongside his colleague by the Imo State Police Command. 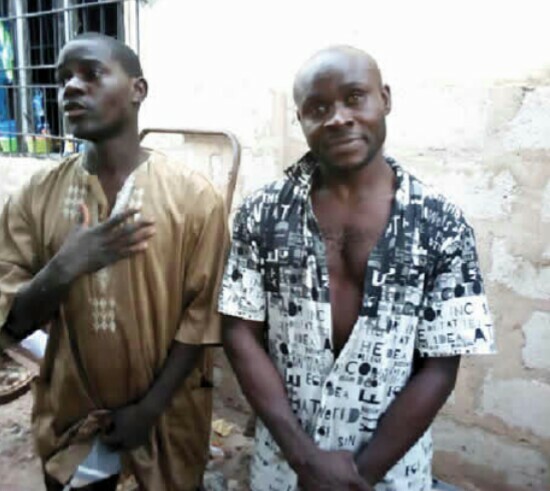 The kidnappers Chukwudi Nnabugwu, 29, and Chimezie Victor, 38, who have been on the Police wanted list for a long time, were arrested by the F-SARS operatives led by the Commander, Geoffrey Victor, between November 25 and 26, 2018. “They were arrested at Oguta Local Government Area of Imo State by F-SARS operatives led by Victor Godfrey through a tip-off.